It's Saturday! That means cartoons, marathoning TV shows with your favorite person, and Dark Souls II. Wait that last one was me. Oh and also catching up on our best content over at Kotaku Selects. 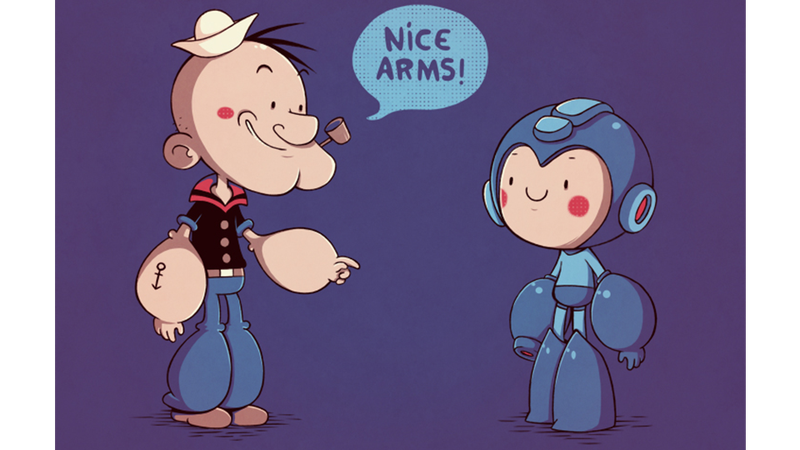 And in bizparulz's world, that means Popeye and Mega Man are BFFs and they'll be marathoning some show together today, too.